Efficient security system is no less necessary in an apartment or condominium than a stand alone house in Tampa, Clearwater and St. Petersburg. It is very important for owners and managers of condominiums, apartment complexes and all such multifamily residential buildings to take note that their target market will be looking at safety and security considerations when evaluating their property. Potential residents will greatly appreciate seeing a complete security system with features such as surveillance and access control. It may spell the difference between winning and losing the client to the competition. Condominiums, apartment complexes and other multifamily residential buildings are even more vulnerable to security breaches than stand alone homes. The fact that there is regularly high traffic of residents and their guests highlights the need for more stringent access control to individual units. Strangers can pose as guests of other residents, or even as residents. The larger the complex, the more susceptible it is to unauthorized entry. 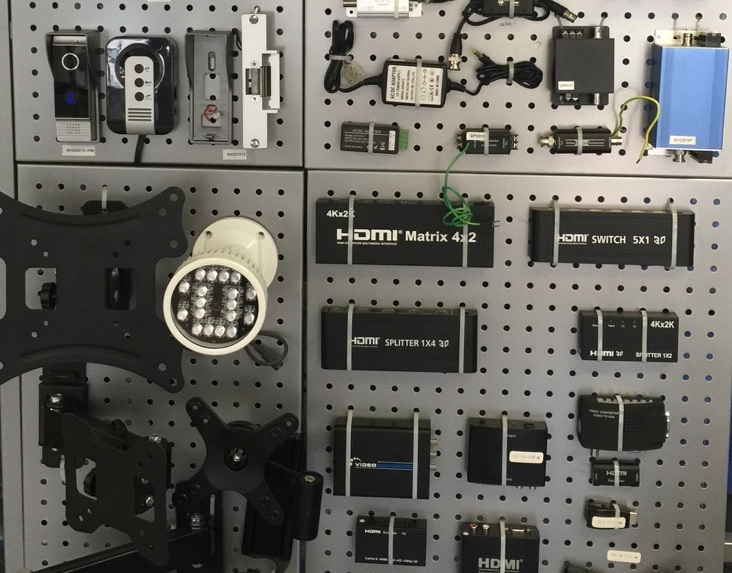 A good security system can provide access control that is efficient and foolproof while being cost effective and easy to manage. Modern Computer LAN Networks (local area network) wiring has the concept of structured cabling. With today’s high speed networks, people realize that the networking system must be broken up into shorter chunks that allow workstation wiring to be concentrated, with each cable length short enough to support the high data rate. Based on aforementioned reasons, structured wiring standard has been developed to help define a computer wiring system that stays within the maximum wiring distance for various LAN topologies. For example, the horizontal cable wiring length is 100 meters for 100 Base networks. What do we do to observe the 100 meters wiring standard? In order to achieve the wiring concentration standard, telecommunication rooms (wiring centers) are placed at planned locations in a building. These telecom rooms are then interconnected to provide the total network connectivity for the building. This can be explained in a three stories building. At one same corner of each floor, a telecom rooms is constructed; these telecom rooms are then connected by backbone wiring (cables run vertically through the floors and link all telecom rooms together). On each floor, a telecom room concentrates all workstation cables for that floor. Each workstation has a wall mounted jack. The network cable is terminated at that jack and runs directly to the telecom room. The cable may run in wire trays or conduit, or be draped over supports such as a drop ceiling. For larger floors, more than one telecom room may be needed. The horizontal wires cables on Computer Lan Networks, which run from workstations on the same floor to the telecom room, are then terminated on punchdown termination, or directly onto a patch panel. The punchdown terminations or patch panels could be rack mounted (19″ or 23″ racks), cabinet mounted or wall mounted. In the telecom room, network equipment such as a hub or switch is connected to each station cable, which electrically terminates the cable run. The hub or switch then passes the computer signal on to other work stations or servers, or even to other telecom rooms for ultimate connectivity with the entire network. Telecom rooms on each floor are then connected together by backbone cabling (also called vertical cabling for floor to floor connections). These backbone cablings typically are done from floor to floor to floor. Usually telecom rooms should be located directly above one another in order to minimize the cable runs length, but this also varies from building to building. Since backbone cabling typically passes through from floor to floor, the cables used for backbone cabling have very different requirement than the horizontal cablings. 1. Fire ratings. Backbone cables must have standard imposed fire rating specifications. Typically this is OFNR (Optical Fiber Non-Conductive Riser) rated. If the backbone cable passes through plenum area (spaces in the building used for air return in air conditioning), the cable must be OFNP (Optical Fiber Non-conductive Plenum) rated. 2. Physical securing. Physical securing for vertical riser cables is also different than horizontal cables. So is the cable strength, since vertical riser cables need to have enough strength to support its own weight. Read more about structuring cabling in our Structured cabling service page HERE. 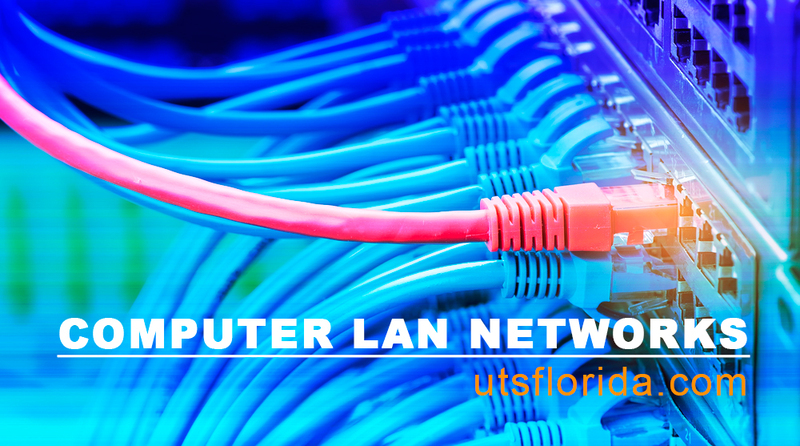 Posted on May 9, 2016 June 24, 2016 Author utsfloridaCategories Cabling, UTSTags cabling, cabling miami, computer, lan, lan networks, miami cabling, miami networks, network miami, networksLeave a comment on What Is Structured Cabling for Computer LAN Networks? What the customer wants, the customer gets. While people talk about green buildings, smart automation and home gardens, the truly enterprising developer has already done all of this and is looking at the next possibility around the corner that will change the game and the way luxury is looked at. Luxury as a term has become a word without differentiation in today’s real estate market. What sets the luxury housing apart is location, space, exclusivity in design and futuristic lifestyle amenities. It’s no longer the price per square foot or the specifications that make the house a luxury home; it’s the intangible feelings such as the freedom one enjoys from all worries, the comfort of exclusivity of space and most importantly, the feeling of being in control of things that defines luxury now. Luxurious living has always been a hallmark of the privileged in Pune but the kind of growth and development the city has seen in the past decade, increasing a number of buyers are venturing out for premium, super premium and even bespoke homes. Greater disposable incomes, prosperous businesses, the IT boom and traditional wealth have all contributed to the growth in this section.